How sweet is that name? 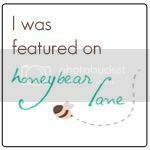 It's the name of a new e-book out there by Amanda from Impress Your Kids. Trust me, this book would totally impress your kids. It's a participatory advent book. Each day, the book takes you on a journey through a passage of scripture and leads you in making a coordinating ornament to go along with the theme. The ornaments are super fun and easy to make (and don't require fancy equipment). Think toilet paper rolls and general craft supplies. She even gives you a shopping list so you can get all organized before December 1st rolls around! There is a scripture and ornament you could make every day, but don't feel that you have to do it all. In the back of the e-book she offers alternative schedules if you can't take the time to make an ornament every day. You could follow "Just the Basics" which takes you on 6 days of the most basic elements of the Christmas Story. Or you could focus on "The Characters" and do 10 days of ornament making and scripture reading. It's so flexible and everything is laid out in easy, readable form. All the templates for the ornaments are included in the e-book. So, just print, cut, and trace. 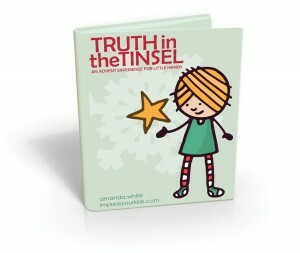 If you have young kids at home (preschool - early elementary) they will LOVE Truth in the Tinsel! And you will love the price. Today only (Black Friday), the e-book is $2.99 (regular $4.99). Don't let this deal get away. And to make it more fun - you can join with everyone at the Truth in the Tinsel Facebook page to encourage each other during Advent by posting pictures of the crafts your kids made, funny things they said, etc... What a fun challenge! No BLB of the day today... We are having a BLB Groupon-like sale! All Gift Certificates are on SALE! Get the full printed price for much much cheaper here. 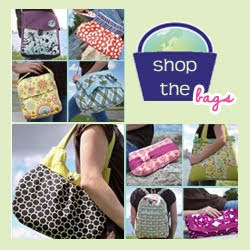 These are awesome gifts for that someone who might like to design their own Better Life Bag! I love the idea behind this book and all of the wonderful reviews I have been reading about it. I think I will go ahead and purchase it to use next year.